Today Marco talked about his pick of albums of the year. 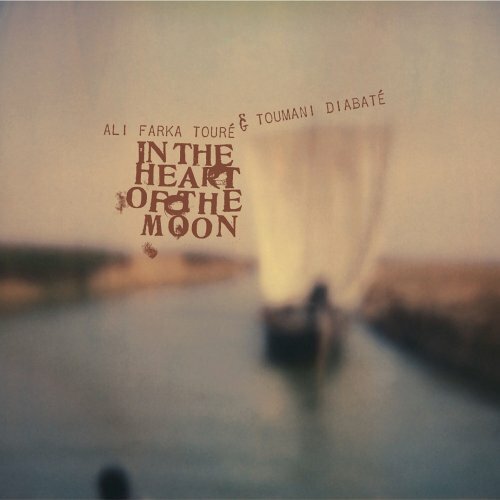 And on the list is the first-ever album from the all-star duo of Ali Farka Toure and Toumani Diabate. The excerpt that he played on the show sounds really great. You might remember Ali Farka Toure from his album with Ry Cooder, or from the song on that album that was used in a memorable scene from the movie Unfaithful (which I guess I've just admitted to having watched). I know Toumani Diabate from his interesting album with Taj Mahal where they explore the common roots of the (Southern American) Blues and Malian music. (incidentally also introduced to me on a public radio show from many years ago). I recommend that album (and the liner notes, btw). On a show of a few months ago, was a surprising revelation about a very familiar hymn. The hymn "How Great Thou Art"/"O Store Gud" is well-known to protestant congregations from around the world, including India. I've always found it inexplicably moving --- inexplicable because I can't say the words are particularly meaningful (or even agreeable). The tune always struck me as being unusual and I wondered if it had a non-European origin. It turns out, atleast according to Marco Werman, that it does. It's from Madagascar, by way of Norwegian missionaries from the 1860s ! I've not found other sites that repeat that claim and I've seen the tune listed as being everything from Russian to Swedish. The Madagascar story sounds very plausible though and most interesting. One legacy of the Norwegian missionaries is their careful cataloging of old folk tunes from Madagascar. The show also has an example of a Malagasy folk song about a snake that morphed into a Norwegian Lutheran hymn. Here is audio of the show. I sang 'How Great Thou Art' everyday for 14 years in school. Sometimes twice on the same day when our Principal felt we were not 'loud' enough. Never once wondered about its origins. Always assumed it was another East India Company leftover. Or maybe just a Jim Reeves hit. Thanks for sharing that Ashvin. I sang 'How Great Thou Art' everyday for 14 years in school. Sometimes twice on the same day when our Principal felt we were not 'loud' enough. That's crazy! Your principal sounds like a really fun person. Atleast at my school we used to sing a different one every day. I'm glad the revelation about its origins meant something to someone apart from myself.